From high-rise developments and industrial applications to commercial developments and military installations, each requires a high degree of management and control. Ashford Commercial offers a product manufactured to meet the highly individual needs of each application. We provide expert technical and consultative ability at all levels for our partners, from a team of specialists dedicated to meeting your aims effectively and cost efficiently. Each Partner enjoys a dedicated contract management system backed by direct access to our own Operations Department, and Health and Safety advisors who develop Health and Safety documentation to comply with the Construction (D&M) Regulations 1994 when applicable. At Ashford Commercial the after sales service is more important than winning the contract. Our reputation has been built on service and quality so any issues or Warranty requests are dealt with as a priority. Our Partners can call us at any stage. Often even when considering the planning of a project they ask for our contribution in order that all issues and potential pitfalls can be addressed. The planning and implementation of each project are handled with great care with due regard given to each and every environmental issue. The progressing of projects is managed by our dedicated Contract Manager with regular progress meetings to ensure that your team are kept right up to date with any and all issues as well as the handover of completed properties. One of the critical requirements we all face in today's business world is an achievement of a positive level of customer satisfaction. This is an area where Ashford Commercial can boast some very impressive statistics, all of which are backed by client questionnaires and endorsements. We are also very conscious of the demands on today's new construction and refurbishment management by way of government policies and legislative requirements. To this end we work in alignment with the principles of the "Egan Construction Task Force" and “The Gershon Report” where efficiency and effectiveness of every stage is critical, these parameters ensure that our business is built upon the foundations of Trust and Reliability. We also consistently deliver demonstrable "Best Value" with all of our "Partnering" relationships. 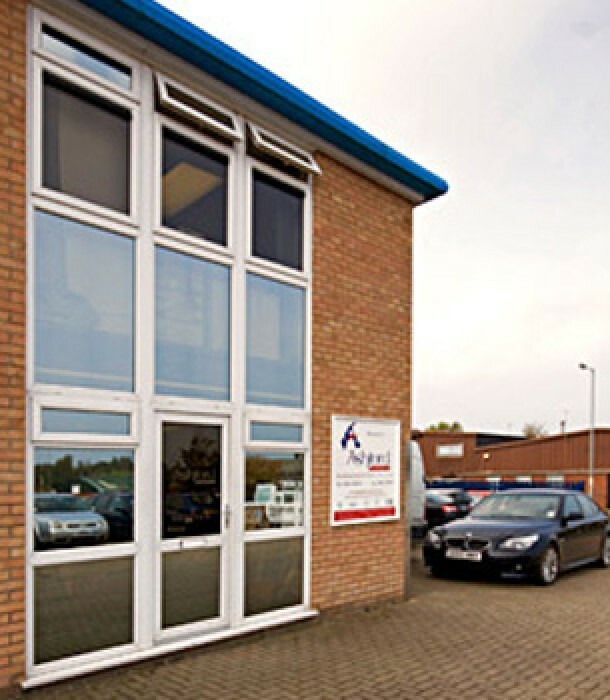 Ashford Commercial Limited has a policy of working closely with key supply partners and customers alike to ensure continual product and service improvement are achieved. This process contributes significantly towards maximising the best from their "Life Cycle Costing" evaluations. Our products & services can also accommodate the requirements of Housing Corporation’s and we can demonstrate that the life of our products can be stretched to beyond 25 years. We are currently working with many major developers, construction companies, architects, specifiers and social housing landlords across the UK. With the focus by the Government towards Partnering and providing demonstrable Best Value, Ashford Commercial is totally focusing its business strategy towards the fulfilment of the initiatives. Ashford Commercial has a vast wealth of experience to offer, with personal attention given by the highly experienced & dedicated team, who are not only enthusiastic but enjoy delivering an exceptional partnering experience. Although Registered Social Landlords (RSLs) are not subject to the statutory duty of "BEST VALUE", they have wholeheartedly embraced its principles, as they too play a significant role as the major providers of low cost rented housing, and the main developers of new social housing working closely with local authorities. Ashford Commercial have issued an Environmental Policy Statement on Waste Management issues, this has been prepared in association with a specialist consultant and in consultation with our clients. Ashford Commercial already has a dedicated Maintenance Division which enables clients to support the life of products to beyond normally expected timescales i.e. 25 years plus. This is yet another area of which the company supports the principles of the Egan report by contributing to extending Life Cycles, thereby spreading the initial investment cost further. In discussions with a number of clients, we became aware that it would be beneficial for all parties, for us to produce information for each resident detailing how to take care of their windows and doors. We, therefore, produce a leaflet, which is left with each resident, along with verbal instructions, regarding the aftercare of their windows and doors when our work at the property is complete. The products are after a little use very simple to operate and we, therefore, believe this method of advice is more effective and can contain more information and indeed saves some cost against other more expensive advice methods. This information is also left with the client's technical department should they need it in future.